CryptoCup is the newest entrant in the cryptocurrency market that has created a blockchain powered betting platform for the upcoming football World Cup — FIFA 2018, scheduled to happen from 14 June till 15 July in Russia. 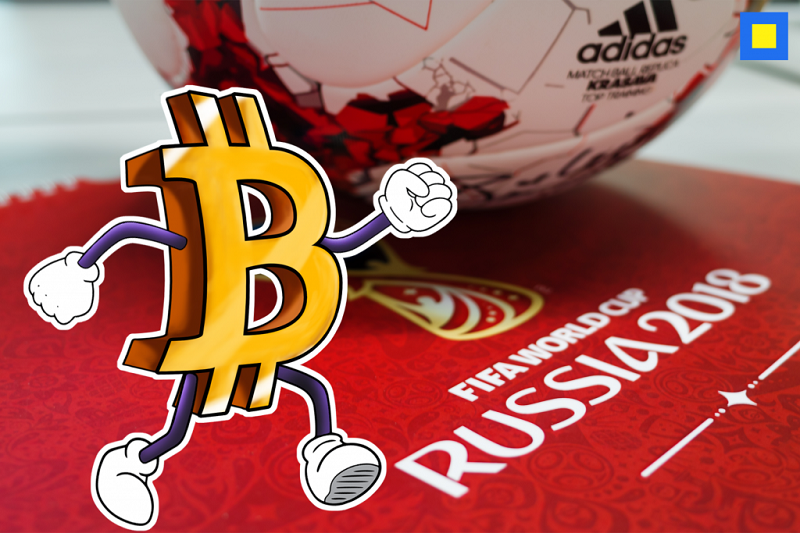 CryptoCup is offering a bracket challenge in its platform during the whole 2018 World Cup and people who will choose winners of these football matches will be able to win company’s tokens — a bit of cryptocurrency such as Bitcoin, Ethereum. You have to buy tokens first from CryptoCup’s website and then you will be able to customize them according to your bet. Each token will be unique based on the information your bet has. More tokens you buy, means more chances to bet. CryptoCup’s website is based on Ethereum‘s blockchain network, ERC-721. This means that these tokens will be in the form of an eTicket which can’t be altered, copied or stolen. This affirms the transparency of this system as compared to the conventional sports betting system. In addition, there’s a certain trading fee for token holders to process transactions in the platform. After each match of the World Cup, token holders will receive bonuses for a correct prediction of winning team. Meanwhile, the number of bonus scores will estimate the amount of the prize at the end of the World Cup. Cryptocup’s executive says that after the ending of FIFA 18, on July 23rd, all users having tokens of winning predictions will be rewarded. The same CryptoCup’s token can also be traded on other platforms which will pop up on the website for token holders. Currently, the buy-in for CryptoCup’s tournament is 0.075 ETH which is around $42. The next price rise is expected in three days and the price will keep going up every subsequent week. So in case you want to adopt this new way of betting on sports, you are running out of time.